Hedgerows - a thorny subject. Of all the components that make up the glorious landscape that is the Lake District, hedgerows must be one of the most taken for granted. So important from an aesthetic point of view, but perhaps even more so for the micro ecosystems that they form. Quite high maintenance, but so worth it. Now comes a great chance to learn more about these ancient land boundaries, and to get some practical hands on involvement in their conservation. The date is this Sunday 4th March, the venue is High Nook Farm at Loweswater and you can park at Maggies Bridge Car Park. This can be a bit tricky to find so look out for signs on the main Loweswater road. The grid ref is NY134 421 and the post code is CA13 0RU Come along any time between 10:00am and 2:00pm. Bring boots or wellies and we will provide gloves. Dont forget a packed lunch if you plan to spend a lot of time with us. And if its value for money that you're after, well this event is free, you cannot get better value than that! Back to water - again! A wise man once said to me that he reckoned that over the next 50 years, water will become the biggest issue in the world. And I reckon he's not far wrong. Either too much, or too little. For me, one thing is certain. Climate change is happening. 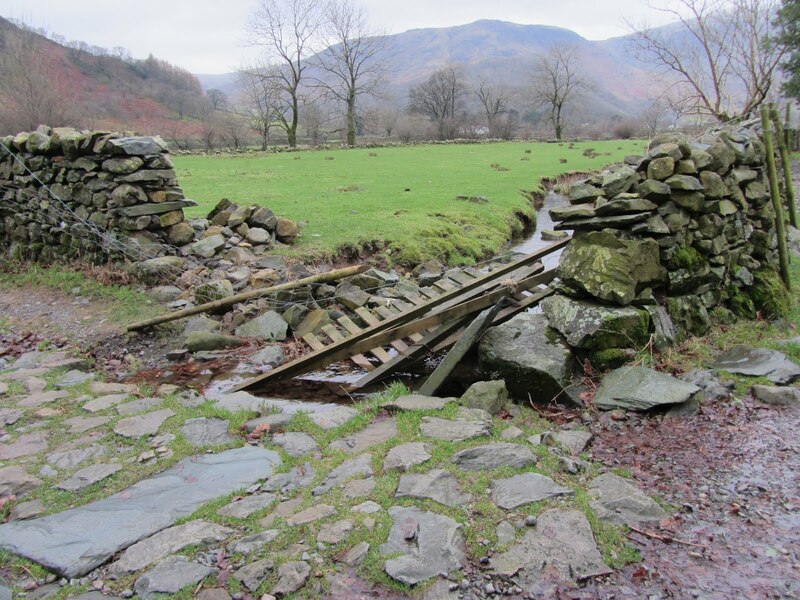 Here in the Lake District we rarely suffer drought conditions, in fact it is normally quite the opposite, what to do with all the rain that does fall! During my time with National Trust it seems that it is not the quantity of rain that has changed, but rather the nature of the rainfall. It does not seem to rain as long as it used to, but when it comes it does so in vast damaging torrents. And somehow we have had to start living with that fact and start adapting our work to suit. 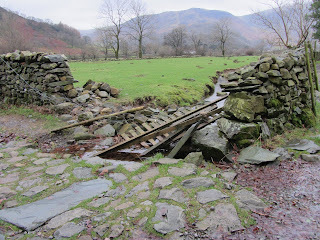 So here is the tale of an interesting job near the village of Stonethwaite. Recent flooding is repeatedly devastating this small, but significant junction of paths. It has made life awkward for farmers and for walkers alike. Gutters that cannot cope, and an ancient wall system that has acted like a dam, have combined to bring about an unsustainable situation. We have used contractors and a 5 tonne digger to clear out the gutters and move some key boulders into position. This has enabled us to build a low wall to protect a wooden pillar that will support 2 hecks. The hecks will allow the water to flow and spread, rather than build up & damage. Using the large boulders as edging stones we have employed the ancient skill of pitching to produce a sustainable path surface. 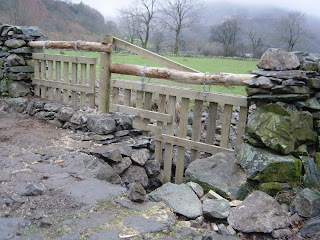 Finally, with the help of our regular Thursday volunteers, Robert and Rod, we have built and positioned the new hecks. The job has taken a while as the cold snap limited the amount of work that we could achieve, but the job is coming on, and will be finished towards the end of February. We'll show you some "after" pictures when it is all complete. Our event season got off to a fantastic start as over 100 people joined us for our "Owls in the Woods and Owls in the Barn" extravaganza. An atmospheric stroll up into Great Wood was followed by a talk & demonstration of 3 owls that the Lakeland Bird of Prey Centre had brought along for us to meet. 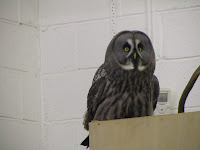 First up our native, and much loved, Barn Owl, followed by an exotic Malayan Wood Owl (which looked curiously like a monkey), and then the undoubted star of the show, a Great Grey Owl. 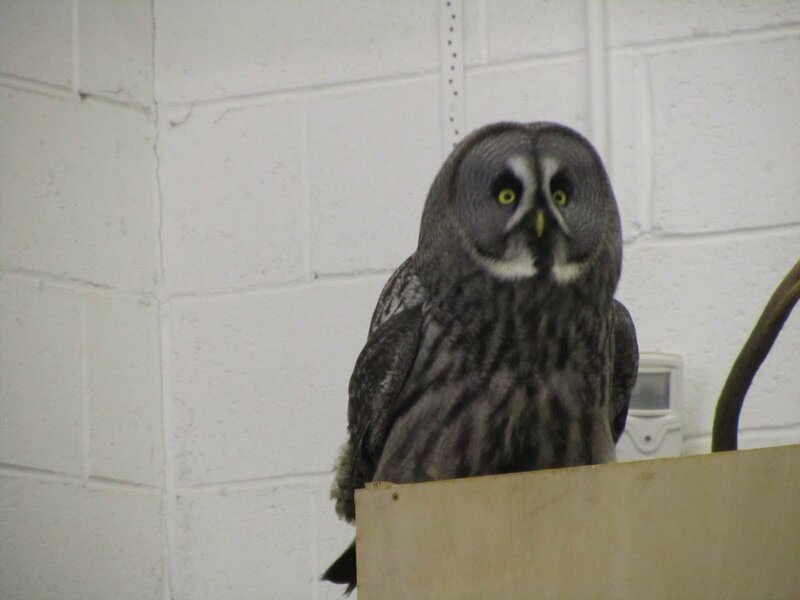 This latter species is the third largest Owl in the world. So when it spread its 4 foot wings it caused a bit of a flutter; when it flew across the workshop, just above the heads of our gathered throng, it was a seriously thrilling moment! As an organisation, we are really trying to allow people to feel closer to nature. This fun and informative event did just that. Our thoughts are already turning to next year, and how we can make this an even better do. Meanwhile we have more wonderful and diverse events coming up. 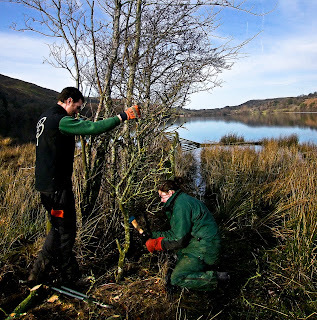 Sunday 4th March is an open invitation for some hands on experience of hedgerows and hedge laying, whilst Sunday 18th March sees the focus turn to Loweswater for a walk and talk about the conservation of this lovely pastoral lake. Keep reading here and we will keep you posted a bit nearer the time. Owls - what's not good about owls? But how many people have seen them up close & personal? Even in my long years with the National Trust I've only seen one or two, always at dusk, and usually gliding silently along hedgerows, seeking a meal. And always the thing that makes the most impression is the graceful silence of their flight. But its always occasional and always fleeting. 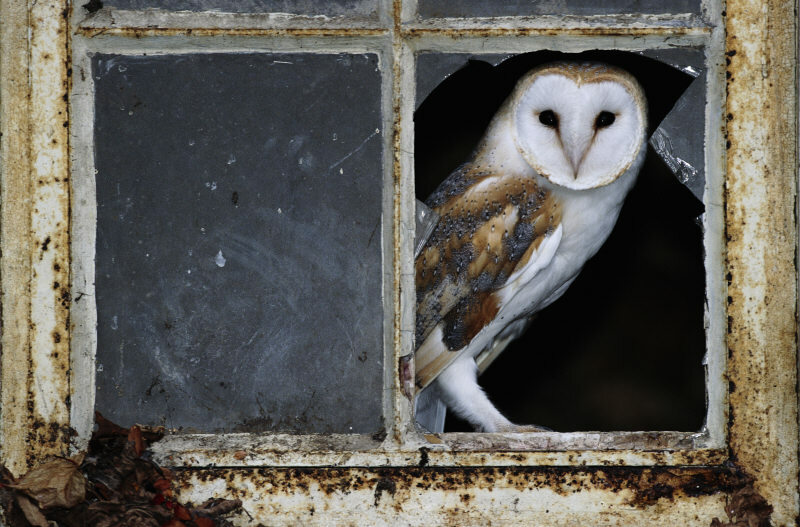 Now is a chance to see these lovely birds in close up as the National Trust in the North Lakes kick starts its seasonal events programme with a great chance to actually meet live owls. The date for your diary is Weds 15th February. 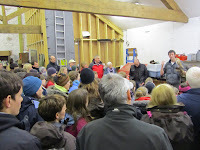 Meet at our Bowe Barn Base just half a mile outside Keswick on the Borrowdale Road. 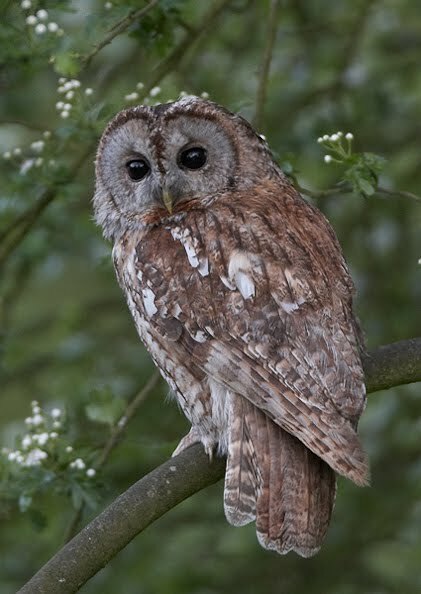 Be there for 6:30 for a short, easy, but atmospheric walk up into Great Wood which is home to Tawny Owls, then back to Bowe Barn to see live owls in action. It promises to be a fantastic evening, a very rare opportunity to see and learn about these enigmatic creatures. Price is just £3.50 for adults and £2.00 for children, terrific value for money for a great night out and of course it's half term, so no school in the morning! 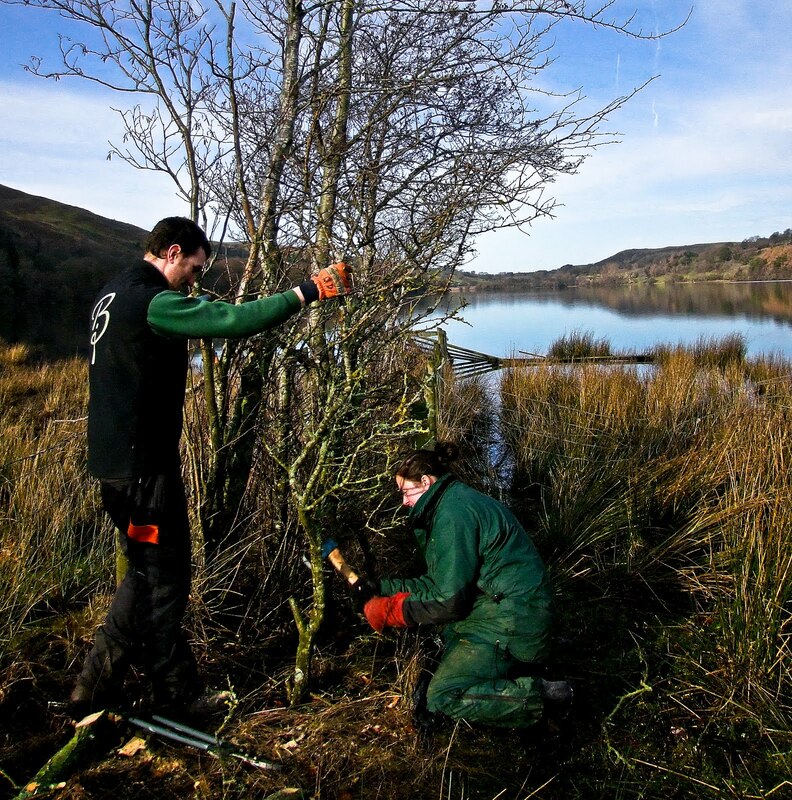 Follow the National Trusts North Lakes Rangers here, and we will keep you up to date with all the great events that are happening throughout the year.